It is ironic that former Milan star midfielder Sulley “The Killer” Muntari will not be around to take advantage of the new technology, when you consider that it was his infamous disallowed “il gol di Muntari” vs. Juventus in February 2012 that sparked a new, increased rivalry between the two clubs. But it also started a conversation that many had been trying to have for a long time. And even if it took three years to get here, Wednesday will be the beginning of the end of such controversies, allowing fans and refs to create newer and less easily resolved ones. The Premier League has used GLT for two years already. It was also used by FIFA last year in the World Cup in Brazil. 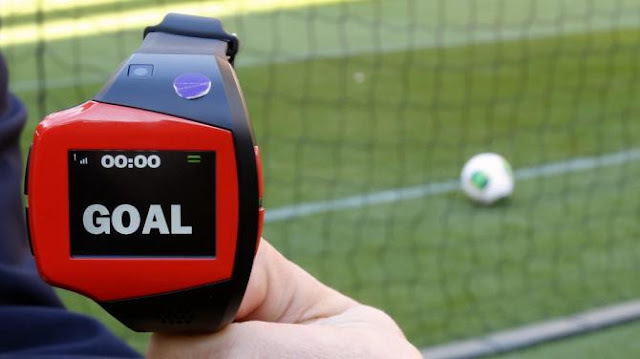 The Bundesliga had already approved the technology to begin this season when the Lega Serie A voted to approve it beginning this year as well. The President of the AIA, the Italian referee association, Marcello Nicchi, recently remarked that the referees have been waiting for this technology, and that he feels they will be able to better focus on other elements of the game and thus be able to better perform their jobs. 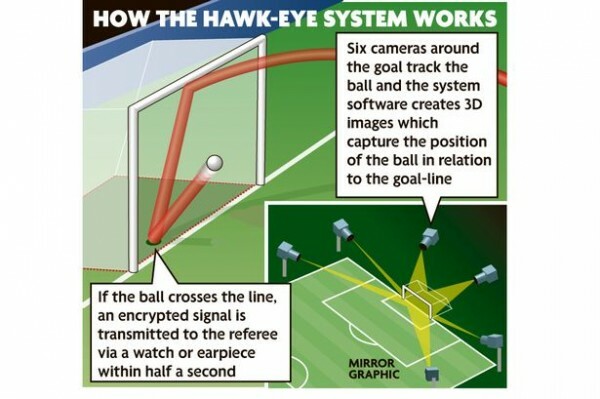 Serie A will be using Hawk-eye GLT, the system used by FIFA, the Premier League, the Bundesliga, and more. Most people are aware of the concept of Goal Line Technology, but they may not know exactly how this system works. There are seven cameras per goal installed in the stadium, usually somewhere on the roof of the stadium. 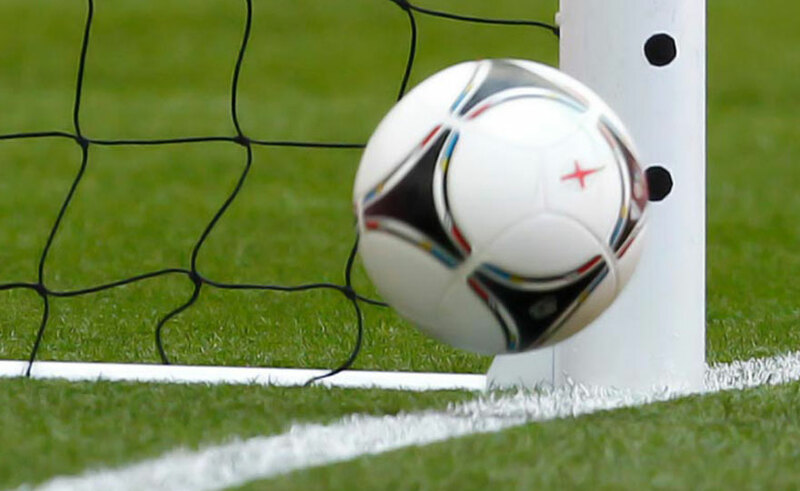 They all have different angles of the goal line and can locate the ball even if only a portion of it is showing. They are all synched so that as soon as the ball crosses the line, an encrypted message will be sent to the referee’s watch or earpiece. And they are accurate even if only two of the seven cameras catch the goal. The system is accurate to the millimeter, and they tout that there has never been a goal yet that would not be able to be detected, even due to body placement, etc. Certainly Milan have had our share of ghost goals, it almost feels like a curse after Muntari’s infamous non-goal. So I imagine most fans will be pretty excited about Serie A’s newest signing. But I’m sure fans of all clubs are looking forward to losing this element of the game, where human error can cost a result and possibly even influence the league table. So regardless of what everyone’s new players will do for them, I’m predicting that Goal Line Technology will be the signing of the season.